Ever since Suicide Squad hit theaters a few months ago there have been whispers and rumors that Warner Bros. was going to be moving ahead with a Harley Quinn spin-off movie, since Margot Robbie was so beloved as the character. Now it looks the movie is full-steam ahead and it is going under the name Gotham City Sirens, as opposed to the previously rumored Birds of Prey title that had been floating around. 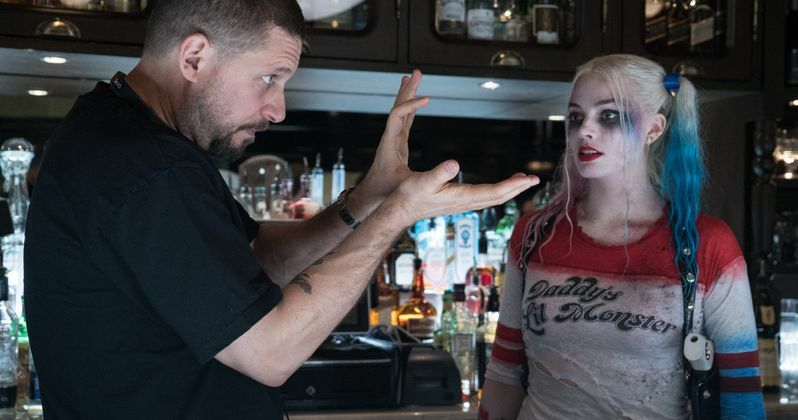 Not only that, but Suicide Squad director David Ayer has come onboard to helm the movie. The Hollywood Reporter was the first to break the news that David Ayer has signed on to direct Gotham City Sirens, which will also be a villain-centric movie, focused on female baddies in the DC Comics universe such as Margot Robbie's Harley Quinn, Catwoman and Poison Ivy. Margot Robbie is also Executive Producing the movie, with head of the DC Extended Universe Geoff Johns, as well as Jon Beg also producing. The project has enlisted the talents of the Tomb Raider reboot and Sherlock Holmes 3 screenwriter Geneva Robertson-Dworet, who will be penning the script for the movie. It had been previously reported that Christina Hodson would be writing the movie, but that appears not to be the case now. Margot Robbie essentially willed Gotham City Sirens into existence all on her own. After she landed the role of Harley Quinn in Suicide Squad, the actress reportedly did a deep dive into the comics to research her character, and during that process, she became interested in many of the other DC female characters who are showcased in the Comics. She brought on an unidentified writer herself to develop the project, before taking the project to Warner Bros. The studio then quickly picked up the project. Gotham City Sirens was a recent DC Comics title that focused on the trio of Harley Quinn, Catwoman and Poison Ivy working as a team to do their own bidding. It sounds like this new movie will be taking its cues from that book. Suicide Squad was not exactly the most well-received movie of the summer, especially by critics. The movie currently holds a pretty abysmal 26 percent approval rating on Rotten Tomatoes. With that said, Margot Robbie was met with a whole lot of praise for her portrayal as the Joker's main lady Harley Quinn and was seen as one of the most redeeming qualities of the movie. Despite the poor critical reception, Suicide Squad went on to gross $745 million at the box office, so Warner Bros. has a lot of reason to believe Gotham City Sirens can work. The report also notes that the studio is still looking into doing a sequel to Suicide Squad as well, but given the positive reaction to Harley Quinn and where the project is at in the development process, Gotham City Sirens is expected to be put on the fast track. The studio has yet to set a release date for the movie yet, but we will be sure to keep you posted as new details are made available.